LEGACY PRODUCTS — Manley Laboratories, Inc.
We're not trying to be morbid, folks (uhm, yeah we are actually). We just thought you might want to pay your last respects to some of the gear we just don't make like we used to....in fact, we just don't make them anymore at all. These are a few pieces we've retired from production to make room for all the exciting new gear we have in the works. Versions 1, 1.5, and 2 (2001 - 2008) R.I.P. 35 Watt Monoblock (1993 - 1995) R.I.P. 50 Watt Monoblock (1995 - 2003) R.I.P. Replaced January 2003 with cute little MAHI's. Manley 35W model was pretty much the same thing in a different chassis (1993-1995) R.I.P. and also super-rare 1993 Spanish-built "DCM" amps! (1994 - 1998) R.I.P. electrically similar to Manley 100/200 (1993 - 1995) R.I.P. (1994 - 2004) R.I.P. - We're done with these chassis so you'll have to buy the pretty Neo-Classic versions for your studio now. (1994 - 1997) Reference 240/100 Monoblock R.I.P. - (1997 - 1999) Reference 250/100 Monoblock R.I.P. OLDER "Reference" 440w Monoblock (1994 - 1996) R.I.P. - OLDER "Reference" 500w Monoblock (1996 - 2002) R.I.P. Manley Reference Preamplifier (1988 - 1993) R.I.P. Manley Reference LINE Preamplifier (1994 - 2000) R.I.P. - Manley Reference PHONO Preamplifier (1994 - 1998) R.I.P. built at VTL factory in 1992 R.I.P. (early units were called Reference Compact 150's) - built at VTL factory (1988 - 1993) R.I.P. built at VTL factory (1988 - 1993) R.I.P. 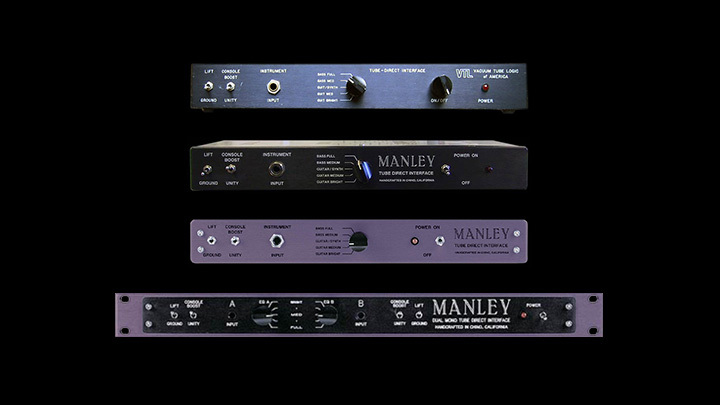 The Manley Enhanced Pultec EQ and MID FREQUENCY EQ's were also available with detented, logable BOOST & CUT control-switches precisely calibrated to 0.5 dB steps or as required. On the Manley Mastering Pultecs, the switches were built as 11 x 0.5dB steps for max range of 5.5dB on each control. The BANDWIDTH control was also built as 11 steps on a switch instead of a pot. 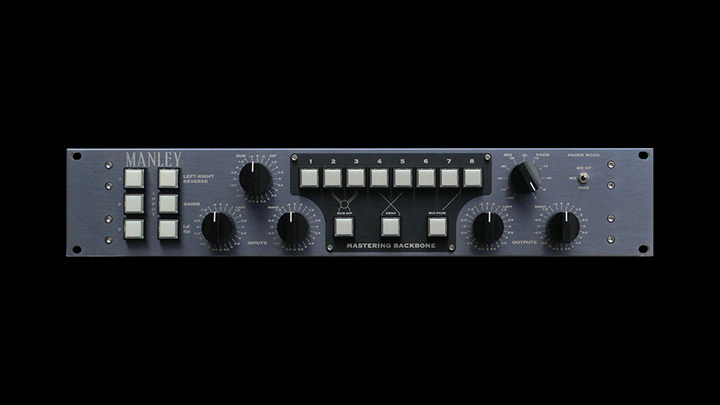 As of 10/2009 we no longer offer Mastering Versions of the Manley MID or EQP1A Equalizers. We do not offer our Stereo Unit as a Mastering version, and no, we will not convert a "normal" version unit to a Mastering one. If you have a good picture of one of these, please email it to EveAnna Manley. Models included 16x2 LINE, 162 MIC, and 16x2 (8MIC+8LINE) units as well as custom 24 and 32 channel mixers. Manley Labs ML10 (1991 - 1994) R.I.P. and ML10A Monitor (1995 - 1998) R.I.P. We still make the ML10 cabinets and crossovers if YOU have the drivers. The black faceplate units were built at Manley Labs 1993 - 1995 R.I.P. Was replaced by the WAVE. Digital Option DAC/ADC for MANLEY SLAM! We killed off the digital version because we just weren't selling enough to justify keeping them in production. Sorry. Do you have a rare Manley corpse that isn't shown here? Email EveAnna your photos and she'll dig a grave and install a headstone for it in the Mausoleum. Or if you have a better photo of an old dead beast than what we have pictured here, or if you have some rare Manley thing we forgot about, send it along!